The Legend of Zelda series has taken some interesting new steps in recent years - Breath of the Wild was an entirely different take on the franchise's usual setup - but one thing we wouldn't expect to see is a first-person adventure. 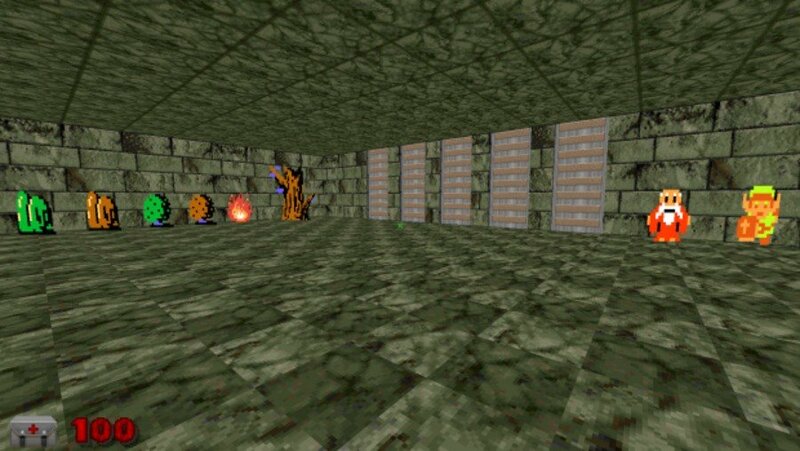 And especially not a first-person adventure with NES-style graphics. As it so happens, though, that is exactly what one modder - going by the name Exkodius - has set out to create. As they state on the project's Moddb page, "the project began as a silly idea while me and my friend were playing Zelda on the good ol' NES. We thought it would be really cool if you could run around in first person and look around Hyrule in all its 8-bit glory". Exkodius has been working on the project for years, using the DOOM engine to recreate locations and scenarios from the original The Legend of Zelda game. As you can see from the images above and below, the whole thing works surprisingly well visually, looking pretty much exactly how you'd expect Link's original world to be from his own perspective. The modder has since shared their work for all to play around with online, mentioning that they'll never have the time to finish what they started. Exkodius describes the project as a "testing ground with different graphics, sound and scripts", rather than a functioning game, and hopes that others might find good use for the files and finish it up. 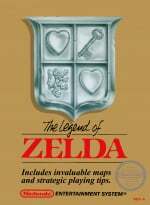 Would you play a Zelda game in this style? 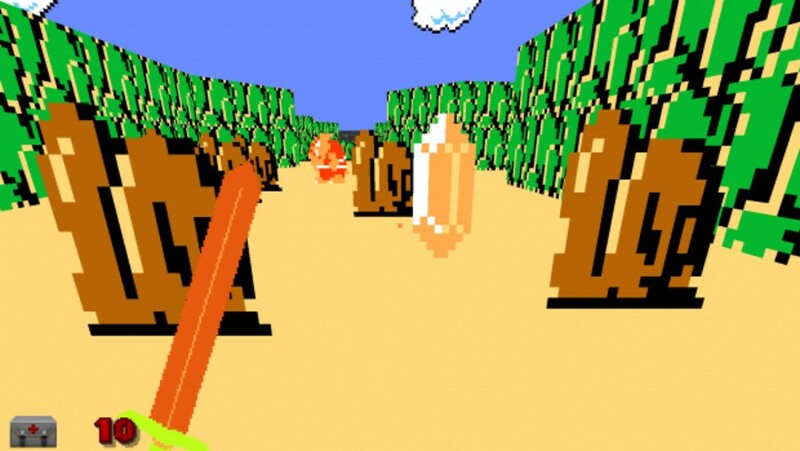 Do you think Nintendo will ever make Zelda first-person in the future? Share your thoughts with us in the comments below. Sounds awesome. I would definitely try it out! Looks good. Though I wonder if someone else will finish it? This game has some hard levels. Fun idea, but it sounds pretty bad. I'll stick to official Zelda games anyway. Countless hours of work for a novelty that will amuse most for a few minutes at best. Wow! That looks really cool. I want to play that. Very cool! Definetly I will play it. I love fps's and I Adore Zelda. @Silly_G "hours of work for a novelty that will amuse most for a few minutes "
Multiply those few minutes by the number of people who will be amused by this mod, and you'll get way more that whatever number of hours the author put into it. And that's without taking into consideration the author's personal enjoyment of the task. I would so play that, looks cool! I admire the work but I have always feel the sprites detract from the gameplay. We did a mod years ago when Doom first came out and when you encountered certain triggered sprites they became 3D as they came towards you. It added some depth to an otherwise humdrum level. Didn't someone already do this with another engine? Maybe it was Mario Bros. 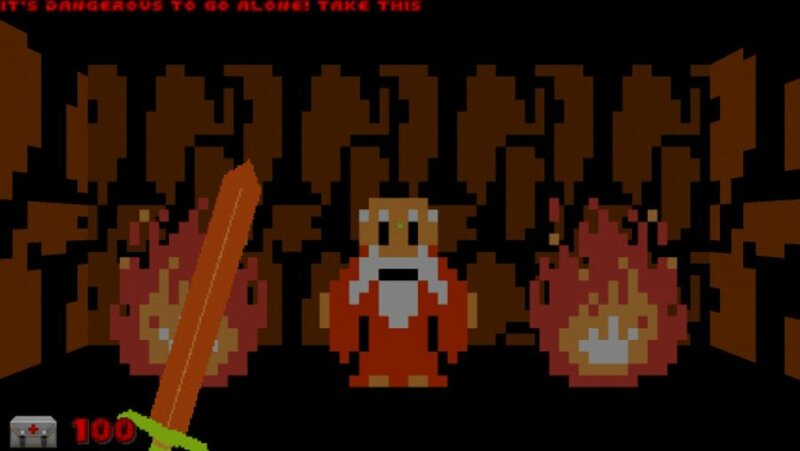 Someone already did this with Zelda II a while back. I'm not looking up a video for it though, it wasn't interesting. This... sounds like a really good idea! Looks fun. Speaking of DOOM mods I still need to play, MegaMan 8-bit deathmatch. That's neat. I might try it out. Add this to that new Switch 3D headset and magical things happen. @SetupDisk It was Zelda a few years ago.